Activa is a mixed-use development that perfectly combines live, work, and play in one holistic environment. Located at the center of a bustling city, the variety of features that Activa provides cater to a wide spectrum of interests and people that enables them to Live Up the active life they lead at Activa Flex and Flats, to Get Ahead with Activa Office Tower, while they Chill Out at the Activa Mall and Hotel. Activa Flex offers different sized spaces—from Compound to versatile SOHO units designed for small start-up companies to medium- and large-scale businesses. The convenience and versatility of an Activa unit make the foundations for a wider horizon. From a comfortable living space to a larger corporate setting, these flexible options are perfect for young professionals or starting families looking for their own space in the city. Activa promotes progress, play and productivity all in one place. Activa is entrenched in the heart of Quezon City’s busiest and liveliest district, Cubao. 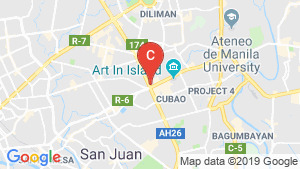 Situated at the crossroads of two of the metro’s most vital thoroughfares, Activa connects to the north and south via EDSA, and to the east and west via Aurora Boulevard. With direct access to the MRT and LRT lines, various modes of transportation crowd Activa’s immediate vicinity and ensure easy comings and goings – leading you closer to your destinations and faster towards your goals. Activa Cubao is a condo project developed by Filinvest Land Incorporated, Units range from studio to 1 bedroom. Activa Cubao at Cubao, Quezon City has the following facilities: air conditioning, cctv, garden, parking, security and wi fi. Filinvest Land Incorporated has also developed projects such as Ciudad De Calamba, Tierra Vista, and Asiana Oasis, Parañaque City. Activa Flex - Studio Unit. SOHO (small office home office) FOR SALE in Cubao. OFFICE SPACE CONDOMINIUM SMALL OFFICE HOME OFFICE QUEZON CITY ACTIVA CUBAO near MANHATTAN near ARANETA CENTER CUBAO. COUMPOUND OFFICE FOR SALE IN QUEZON CITY.